We’ve convinced ourselves that it’s not possible to become a great church without becoming a big church. But the truth is, any church can become great. No matter what size it is. It’s hard to become and maintain a big church. There’s a very long, difficult, complex list of circumstances that must converge before bigness can happen. I outlined some of those circumstances in my recent post, Two Lists: One for a Healthy Church, One for a Big Church – And They Don’t Overlap. It’s also difficult to become a great church. But it’s far less complicated to become great than to become big. No, big and great are not mutually exclusive. Big churches can be great and great churches can become big. But they’re not synonymous, either. Not all great churches become big and not all big churches are great. Becoming a great church boils down to four very doable steps that can be written in one very short sentence. Do the basics wholeheartedly and consistently for a long time. Do the basics whole-heartedly and consistently for a long time. If you were looking for something more detailed, complex or newfangled, I’m sorry to disappoint you. Actually, no I’m not. I love the elegant simplicity of it. Let's break that sentence down into its four component parts. Prayer, worship, discipleship, bible teaching, evangelism, ministry, fellowship. You know the list. However you break it down, it’s all about the Great Commandment and the Great Commission. Love God, love others and make disciples. Unhealthy churches emphasize the extras. 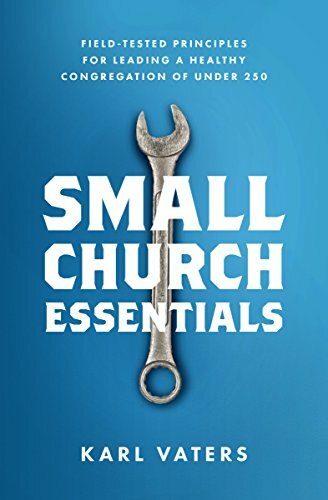 Healthy churches drill down on the basics. And that’s what makes a healthy church a great church. I was tempted to use words like excellence or quality, but I landed on wholeheartedly because I want to avoid the business-speak clichés that have become associated with those other terms. Greatness in the kingdom of God is different than greatness in the business world. Jesus could not have stated that more clearly than he did. You know, the first shall be last, camel through the eye of a needle, and all that. Doing the basics wholeheartedly doesn’t mean that we’ll have a suburban-shopping-mall shine on everything. It means we’ll do them with all our heart, soul, mind and strength.